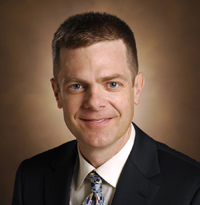 James Crowe Jr., M.D., director of the Vanderbilt Vaccine Center, is the 2017 recipient of the Stanley J. Korsmeyer Award given by the American Society for Clinical Investigation (ASCI), one of the nation’s oldest and most respected honor societies for physician-scientists. The award recognizes Crowe’s contributions to developing innovative technologies for the isolation and study of antiviral antibodies and for significantly advancing the fields of virology and immunology. His pioneering work in computational immunology, for example, has advanced the rational design of vaccines and antibodies. Crowe and his colleagues have isolated human monoclonal antibodies for many pathogenic viruses, including Zika, HIV, dengue, influenza, Ebola, norovirus, respiratory syncytial virus (RSV) and rotavirus. Their research has led to patents and licensures for several neutralizing antibodies and vaccines, some of which have progressed to clinical trials. The award will be presented and Crowe will deliver the Korsmeyer Award Lecture on April 21 during the ASCI annual meeting in Chicago. “I’m proud of the work our team has done over the years in developing new antibody discovery programs. It’s exciting to see our work recognized at this level,” said Crowe, the Ann Scott Carell Professor in the Departments of Pediatrics and Pathology, Microbiology & Immunology. The Stanley J. Korsmeyer Award was established in 1998 to honor the internationally known oncologist who died in 2005. Recipients include Francis Collins, M.D., Ph.D., director of National Institutes of Health (NIH), Nobel laureate Bruce Beutler, M.D., and Laurie Glimcher, M.D., recipient of the 2013 Vanderbilt Prize in Biomedical Science. Crowe credits early experiences working alongside his father, a pediatric radiologist, for first inspiring his love of the science of medicine. He earned his bachelor’s degree from Davidson College in North Carolina and his medical degree from the University of North Carolina at Chapel Hill, where he completed his pediatric residency. Crowe’s medical training in West and East Africa gave him a greater appreciation for the global impact of infectious disease. As a medical staff fellow and senior research investigator in the Laboratory of Infectious Disease at the NIH, Crowe worked on vaccines against RSV, the most common cause of respiratory illness in infants and young children. After completing a clinical fellowship in Pediatric Infectious Diseases at Vanderbilt, he joined the faculty as an assistant professor in 1996. In addition to pediatric infections, his group helped clarify the response of adults to vaccines related to biodefense, such as the smallpox vaccine, avian influenza and other emerging infections. Crowe also directs the Human Immunome Project, an ambitious effort to identify the sequence of all transcripts for adaptive immune receptors on the planet. Crowe has won numerous awards for his research and for his mentorship of medical and graduate students and postdoctoral fellows. He was elected to the ASCI in 2004, the Association of American Physicians in 2009, and the National Academy of Medicine in 2014.